Every Saturday in June, we had summer school. Not just any summer school, though. 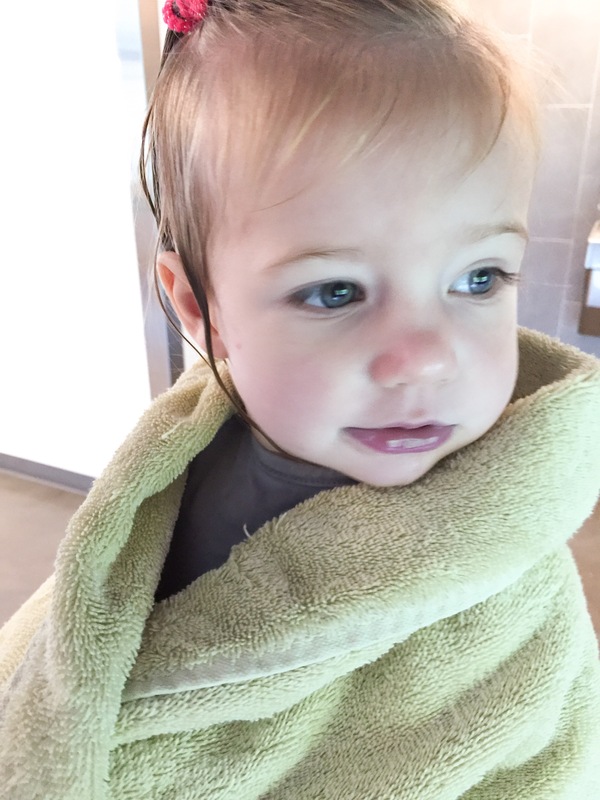 It was swim class. And who doesn’t love swimming? Well technically it was water safety lessons at our local YMCA. 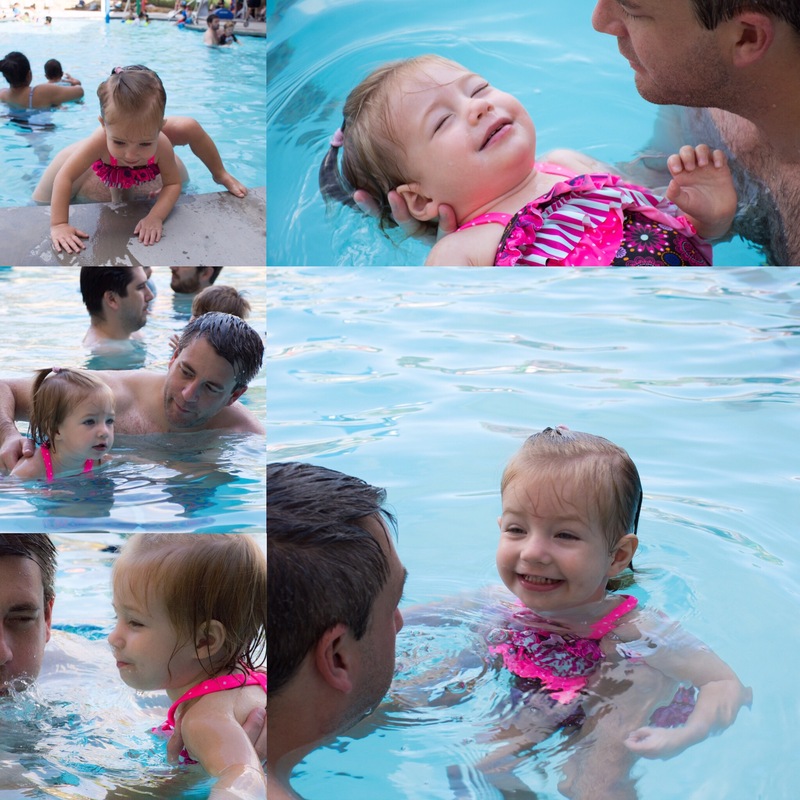 Emmy Kate’s first swimming experience happened right at the end of May at Justin & Becca’s house, so we knew she loved it. She couldn’t get enough of the water. By the end of the day, she was jumping off the diving board. We knew she was a fish. Now every Saturday at 9:10 AM at the White Rock YMCA, we would deal with screaming children, tons of parents, and chilling water temps. Neither of us knew what to expect that first day. We repurposed “Humpty Dumpty”, “Row, Row, Row Your Boat” and a ton of other children’s songs to swimming moves. But the entire first class, I couldn’t hear anything over the chattering of Emerson’s teeth. It was incredibly cold. Perhaps you can tell by her purple lips. The next several lessons went great. Dad in the water teaching her over the screaming little boy who clearly didn’t want to be there, Mom on the side all but one very sick Saturday, and Emerson a willing and able participant. Until I dunked her under the water for the first time. The traditional teaching instruction to get your kid underwater is to blow on their face until they take a breath and then to submerse her violently into the water with the swiftest of action. Well Dad figured out the power of the face-wind early on in her childhood and uses it all the time to make her laugh. So if you can imagine a toddler laughing out loud and then being dunked, well that’s basically forceful drowning. But in the end, we learned that you adapt to holding your breath pretty quickly. Don’t ask. There were definitely some good lessons to learn from the instructors. Just how to get out of the pool, how to float on your back, etc. all via these songs that I’ll never remember. So next time, we’ll just throw her in with some floats and blow on her face, right?